Jes Delaney can't remember anything before she was found at four, barefoot in the headlights of an old Ford. At fifteen, she has adjusted to moving without notice and never fitting in, but everything changes with her adopted mom's hometown. There Jes falls for her mom's nephew, a love she hides when his betrayal leaves her isolated and driven to unravel the past. 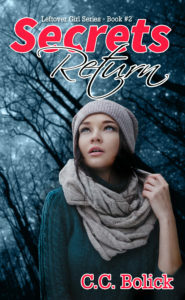 After Jes befriends a strange new student, she discovers an unbelievable secret: he's from another planet and searching for a missing girl who just might be her. As Jes will learn, truth comes at a cost, but will she give up love to find out? 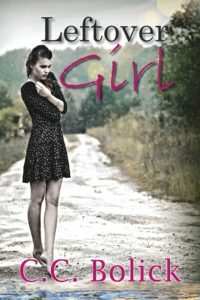 Jes Delaney’s story from Leftover Girl continues after months of fighting to recover her memory. 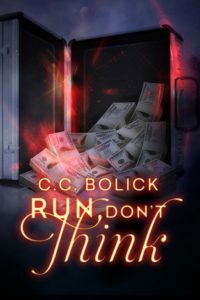 She’s no closer to learning the truth about what happened the night she ran away, or to finding Chase. When someone discovers the articles from New York, lies begin to pile up as Jes must keep everyone in the dark or risk disappearing again. She finds an odd ally in Pade, who came home distant and broken. 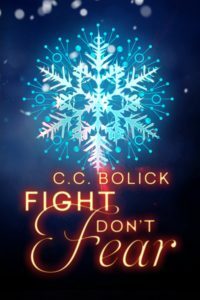 Something happened in Colorado to change him, but Jes holds back because he’ll never understand her secrets. She still dreams about the gunshot, but now her hands are soaked in blood. Jes wonders why Chase hasn’t returned and if her parents will ever forgive her for hiding that she wasn’t born on Earth. After Secrets Return, Jes Delaney is whisked away to a compound hiding those who plan a revolution. Between learning about Golvern and her real family, Jes unlocks more power than she ever imagined. 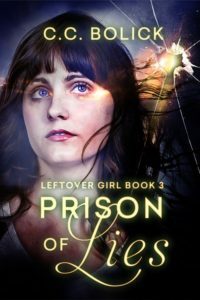 When she realizes her protection has become a prison and tries to escape, Jes discovers just how far her parents will go to keep her. As their grip tightens, Jes manages to break free and flees to Credence. Powerless and on the run, she’s saved by a group claiming to be the real Lucha Noir. Reunited with Chase and Pade, Jes is shocked to learn their leader is also the man who haunts her dreams. Only remembering what happened twelve years ago could free her, but will Jes learn the truth before she makes a choice she can’t take back? After Secrets Return, Pade Sanders is forced to leave Earth for Golvern. Refusing to live with his father, Pade finds a new life filled with the same regulations and torment forced upon all Singles. But his father is more than just a wealthy businessman from Earth - he's a member of Golvern's fearsome government. Although Pade longs to escape and find Jes, he's trapped between life without a twin and duty to the family name he refuses. After a beating that nearly kills him, Pade realizes his chance to find Jes. He soon learns he has a second power so rare the Lucha Noir will never let him go - only he can lead their fight against the government. But how will he deal with learning Kayden isn't the only one predicted to save Golvern? This book follows the same timeline as Prison of Lies, but gives Pade's view of Golvern, the fighting, and all the secrets Jes can't see. Jes has finally come home to Golvern and assumed her place as future queen. With Christian at her side, she must battle the government’s attempts to steal her power along with a marriage arranged by her father years before. Feeling abandoned and afraid, Jes has no idea a team of fighters works in the shadows to protect her, led by Pade. Pade struggles to keep Jes safe from the evil Tyros but is shocked to learn who’s really behind the violence. When Jes is kidnapped, he must make a choice that will affect the lives of every person on Golvern and put his family in jeopardy. The final battle will force all secrets into the light, leaving Jes and Pade to fight for Golvern and their love. A government agency on their trail. Two teens are about to learn their world will never be safe again. After learning the truth about her parents, Angel fears being locked away in an underground room of the agency. She’s been selfish in her relationship with Skip, but now only her powers can keep him alive. The agency wants to use these powers to save innocent lives. Angel can’t help but wish for her old life back. When she visits an old friend, her view of the agency begins to change. Maybe becoming an agent is the best plan if her powers can take down the agency’s deadliest threats. Life is tough at seventeen, but working for a secret government agency? 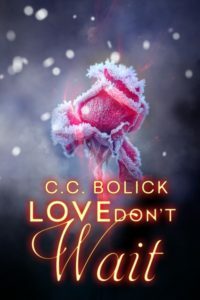 Angel might even learn what love really means… if she doesn't run out of time. 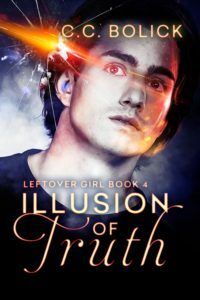 Note: This book has a crossover story that will bridge The Agency Series and the Leftover Girl Series. 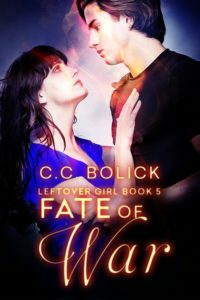 It brings back some characters from the Leftover Girl Series and takes place during the time-frame of Fate of War (contains spoilers if you plan to read that series and haven't yet).